This is when you realize that you have to know how to stop your dogs or slow them down. It's not something you want to do the whole time as this makes your team slower, but we tend to push dogs beyond their limits. Good mushers use the technique of slowing their dogs down to a natural pace so that they don't run full blast the whole time. And then when they need it they can ask the dogs to speed up without pushing them beyond their limits. Some mushers tend to stay away from hills and only train on flat surfaces, this is fine if that is all you want to do...but if you are training for events, train on surfaces you will compete on. If the event has hills train on terrains that has got hills and flat surfaces. Muscles build up memory the same time the dog itself remembers the terrain. So if you practice on the same kind of surface as you would race on your dog will be able to give you more and is less prone to injury. Going down hill requires more skill then going up hill. Up hill you want to build up speed, but before you reach the top you can slowly start to reduce speed. This is so that you and the scooter or what ever rig you use don't go faster then the dogs and pass them, or even worse go over them. 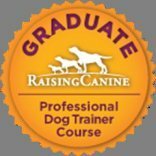 So teaching our dogs to rest or go slower can prevent injury and help gain new momentum. 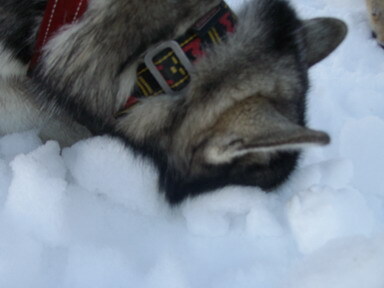 This is a very important cue in mushing. When you give your dog/s a cue to Gee over (more to the right) and they ignore the cue you should step on the brake slightly. They want to go and not stop. This will make them Gee over because they want to continue to run. Of course you should teach your dogs this cue before expecting them to know it. But if your dog/s knows the cue you can expect them to listen to the cue if it's safe to do so. For resting you would give your dogs the cue resting so that they can recover and go forward again. For this you will probably need to help them and step on the brake while giving the cue. Some dogs can run faster and further then other dogs. This means that you will have to check your dogs and know them to ensure that all is well to move ahead again. Usually they will start to pull you and this is your cue to GO! Timing is everything and knowing when to use your brakes. Remember they see resting or stopping as less fun, but going ahead is the reward.